Front Pictures, in collaboration with Omnispace Inc., provided technical support at SIFFX, a four-day festival within the Seattle International Film Festival. Recognized as one of the top film festivals in North America, the Seattle International Film Festival is the largest, most highly-attended film festival in the United States, with over 155,000 attendees annually. It was named one of the 50 unmissable film festivals by Variety. The SIFFX festival took place on June 2-5, 2016. It showcased the most current and creative thinking in VR, AR, and 360°immersion. Building on SIFF’s commitment to fostering cinematic arts and independent filmmaking, SIFFX convened filmmakers, storytellers, activists, artists, creative technicians, and educators to explore contemporary forms of new media and exhibit new works that explore what immersive formats are capable of. 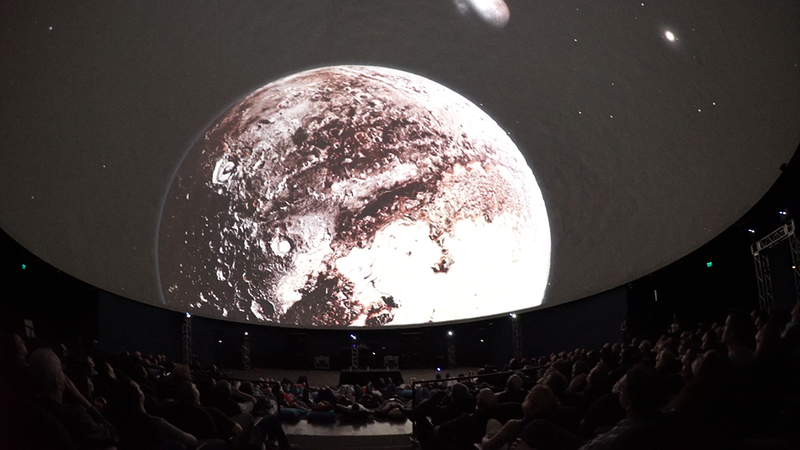 All VR shows were displayed on 80 foot dome (24m) dome with the help of Front Pictures’ professional Screenberry™ media server. Here, the server’s direct VR 360 video playback feature proved central. All SIFFX participants were able to enjoy an immersive view all around them as soon as the video was uploaded onto the server.